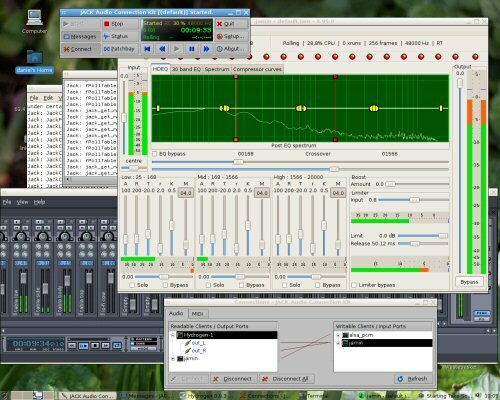 64 Studio is a GNU/Linux distribution tailor-made for digital content creation, including audio, video, graphics and publishing tools. A remix of Debian, it comes in both AMD64/Intel64 and 32-bit flavours, to run on nearly all PC hardware. 64 Studio is designed to retain compatibility with Debian, to create a long-lived and stable creative desktop. 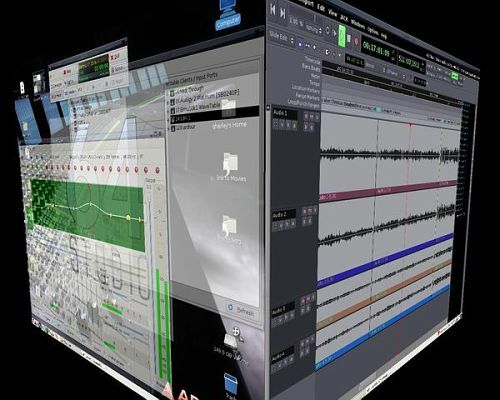 We combine the stability and quality of Debian with a specialised real-time preemption kernel and the latest creative tools demanded by multimedia artists. Our tweaks to Debian include simplified installation and default settings which help get production underway quickly. It's our target that users should be able to get from a blank hard disc to a fully hardware-optimised and usable creative desktop in just half an hour.